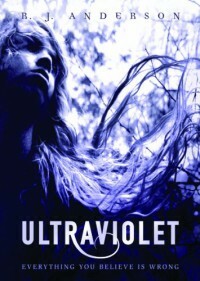 Ultraviolet didn't appeal to me at first, I think it was mainly because of the cover, which I dislike. A couple of blogger friends recommended it to me, so I started reading it and I was immediately hooked. The writing in Ultraviolet is beautiful and works really well for the story. Alison can taste, feel and/or see the colours of various things - numbers, colours, emotions, sounds. I felt as if I could too due to the beautifully descriptive writing. 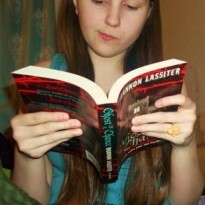 The story isn't fast paced and most of it is spent in Ali's head, descovering the world behind the walls of the mental facility whilst trying to piece together her memory. I didn't mind this as Mental Asylums fascinate me. The action picks up a lot during the last 100 pages and it feels different too as there's different settings etc. After spending so long viewing the world inside the walls, being thrown into new environments felt as weird to me as it did to Ali. ''Dark chocolate, poured over with velvet: that was how his voice tasted. I wanted him to follow me around and narrate the rest of my life.'' Dr Faraday's character was certainly my favourite in this and he's pretty central to the plot. Plus he's hot. That helps. The other characters, although background, are pretty awesome too. You have Kirk, who latches into Ali as soon as she arrives in the new ward and helps her adjust, Sanjay, who believes in Aliens and thinks they're out to get him and Micheline, who's basically just pissed at everything. This book is definitely worth the read this year, especially if you like mysterious stories that keep you guessing right until the end and I'd defnitely say that this is one of my favourite reads this year.